For a limited time only we are offering super discounts on Tarpon Beach 110 on Sanibel Island! Tarpon Beach is a beautiful beachfront development of only 30 units, and is the perfect mix of privacy and location! Tarpon Beach 110 features cathedral ceilings and unbelievable views. 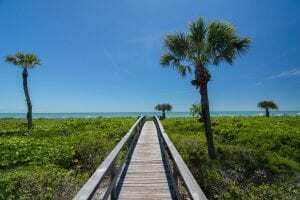 View of the boardwalk to the beach on Sanibel Island from Tarpon Beach condominiums. 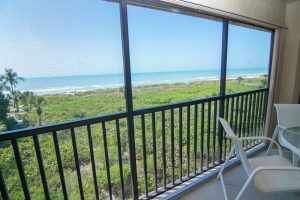 Wake to the sounds of the surf rolling in and enjoy your morning coffee on your lanai overlooking the Gulf. The unit features all new lanai furniture including table, four chairs and two loungers. Two bedrooms, master with beautiful Gulf view, and two full bathrooms, completely remodeled for your comfort with walk in showers. Enjoy seeing dolphins playing in the waters of the gulf from your lanai. 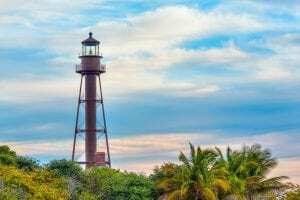 or talk a walk down to the historic Sanibel Lighthouse! The lighthouse on Florida’s Sanibel Island rises above tropical trees against a cloudy blue sky. Contact us now and mention that you saw this special on our website, and get a 15% discount for any stay in May 2019! Posted in Limited Time Offers, Special Offers.